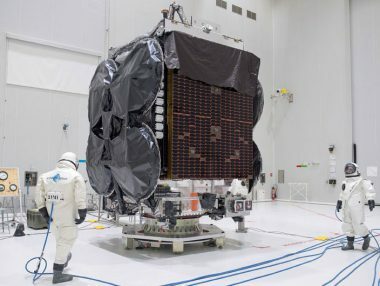 SES, a leading global satellite operator, is the first company to operate a scalable GEO-MEO fleet with over 50 satellites in geostationary orbit (GEO) and 12 in medium Earth orbit (MEO). SES provides satellite communications services to broadcasters, content and Internet service providers, operators of fixed and mobile networks, governments and institutions and businesses from around the world. 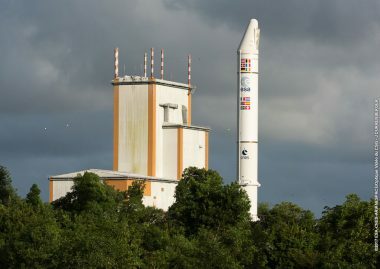 The SES fleet also includes the ASTRA and O3b satellite systems. 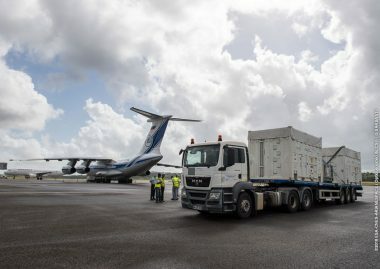 The Ku-band wide beams on SES-14 will augment SES’s ability to serve direct-to-home customers and provide connectivity in the Americas and the North Atlantic. 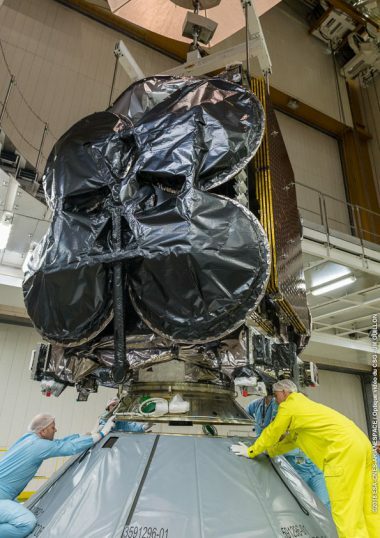 The satellite will provide replacement and expansion capacity for NSS-806. SES-14 will feature a digital transparent processor (DTP) that will provide more flexibility to route the spot beams and also offer customized connectivity solutions that best fit customers’ needs. 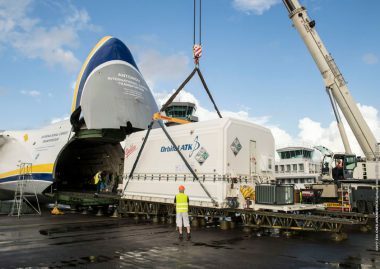 The satellite is equipped with an electric propulsion system for orbital maneuvers and orbit raising duties. 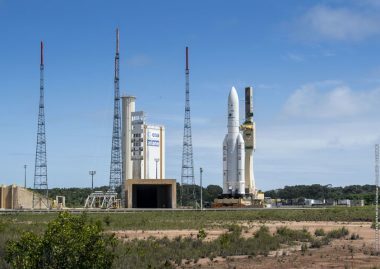 Arianespace currently has nine more SES satellites in its order book: SES-17, four O3b 13 – 16 satellites and four O3b 17-20 satellites. 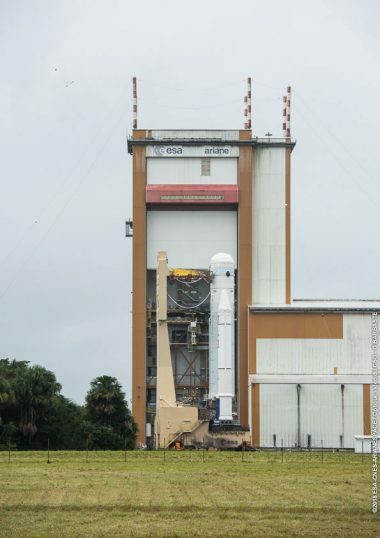 Twenty other Airbus-built satellites are in Arianespace’s order book. 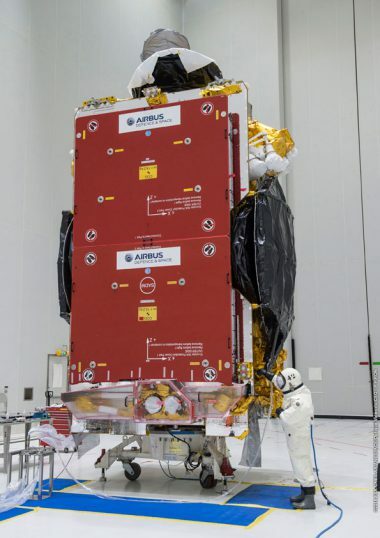 Furthermore, Airbus is a partner in the construction of the 650 satellites in the OneWeb constellation, to be deployed by Arianespace. 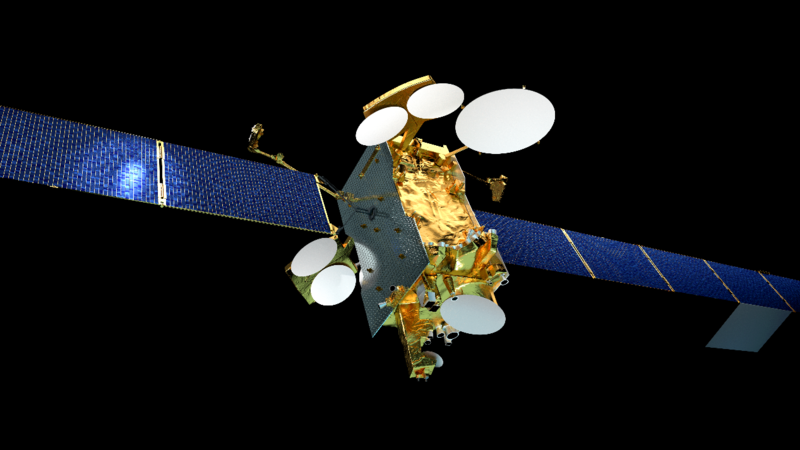 Yahsat is a leading global satellite operator, providing multipurpose satellite solutions (broadband, broadcast, government and communication use) across the Middle East, Africa, Europe and Central and Southwest Asia. Headquartered in the United Arab Emirates at Abu Dhabi, it is wholly-owned by the Mubadala Investment Company, the Abu Dhabi government’s investment vehicle. 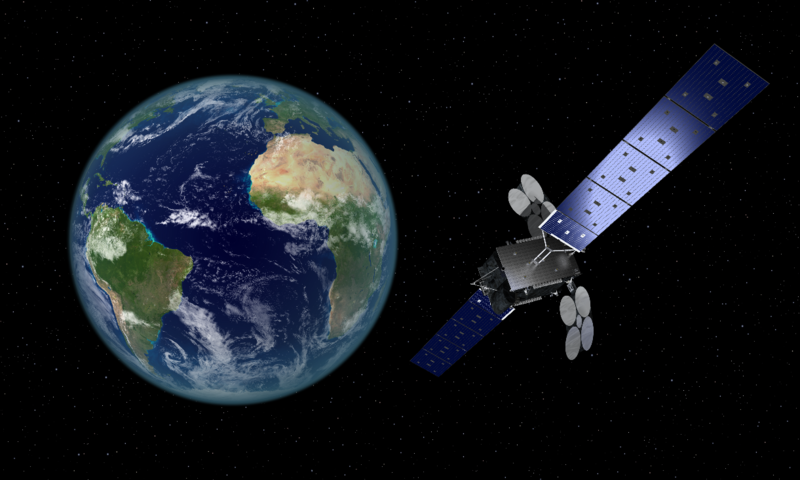 Yahsat is the first company in the Middle East and Africa to offer Ka-band services – including YahClick, Yahsat Government Solutions, YahLink and Yahlive – via its Al Yah 1 and Al Yah 2 satellites. Al Yah 3 is designed to ensure high throughput and high availability for all target segments – including consumers – with small, cost-efficient terminals. 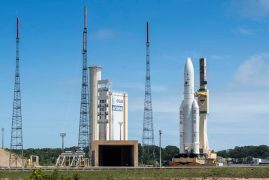 Arianespace’s order book includes three other Orbital ATK satellites. 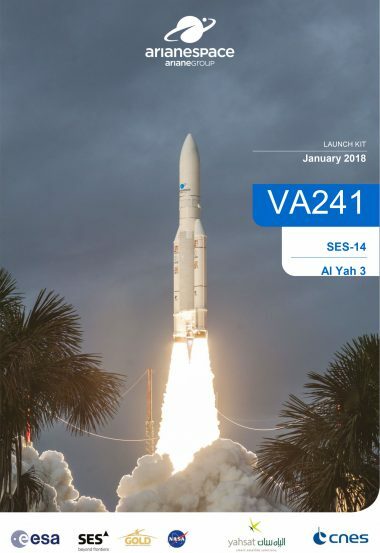 SES-14 and Al Yah 3 satellites orbited by Ariane 5 on Flight VA241	Both spacecraft launched on Flight VA241 – SES-14 and Al Yah 3 – have been acquired and are operating in orbit nominally, despite a trajectory deviation experienced during the mission. 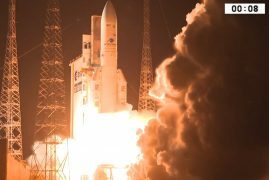 This was confirmed by the satellites’ operators, SES and Yahsat, respectively.